TUESDAY, JUNE 22, 2010 – PARIS, FRANCE – The world’s best female American Football players will converge on Stockholm, the capital city of Sweden this week, from June 26 to July 4 for the inaugural International Federation of American Football (IFAF) Women’s World Championship. The 2010 IFAF Women’s World Championship will kick off on Sunday, June 27 when number one seed USA takes on Austria and host Sweden faces number two seed Canada. Austria will be in action again on Tuesday, June 29 against Finland, along with Sweden against Germany. Games featuring Canada versus Germany and USA against Finland on Thursday, July 1 will complete the group play. The top teams in each group will meet in the IFAF Women’s World Championship Gold Medal Game on Saturday, July 3 following the Bronze Medal and fifth placed games. Each of the six teams will face group opponents for the first time in history in women’s American football, but international competition within the women’s game is not without precedent since two previous games have been played in Scandinavia. Finland hosted Sweden in 2008, winning 64-0 in Helsinki and again in 2009 when the Swedes played host to their neighbors as Finland triumphed again, this time by a score of 36-6. 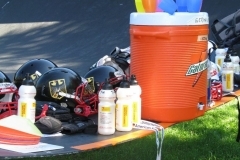 „Women’s tackle football is growing steadily in popularity and now IFAF is delighted to kick off this historic first ever international tournament in the history of our sport,“ said IFAF President TOMMY WIKING, who is also the President of the hosting Swedish American Football Federation (Svenska Amerikansk Fotbollsförbundet). The first-ever IFAF Women’s Conference will be held in conjunction with the IFAF Women’s World Championship on Friday, July 2 from 10:00 to 17:00 at the Zinkensdamms IP in Stockholm, Sweden. With the goal of increasing female participation in the sport and raising the profile of the women’s game, the conference will provide a platform for knowledge sharing among countries with established women’s programs and those interested in learning more about developing women’s football. For any questions regarding the conference contact IFAF Development Manager Jack Reed: jreed@usafootball.com. USA Football’s Women’s National Team will represent the United States in Stockholm. 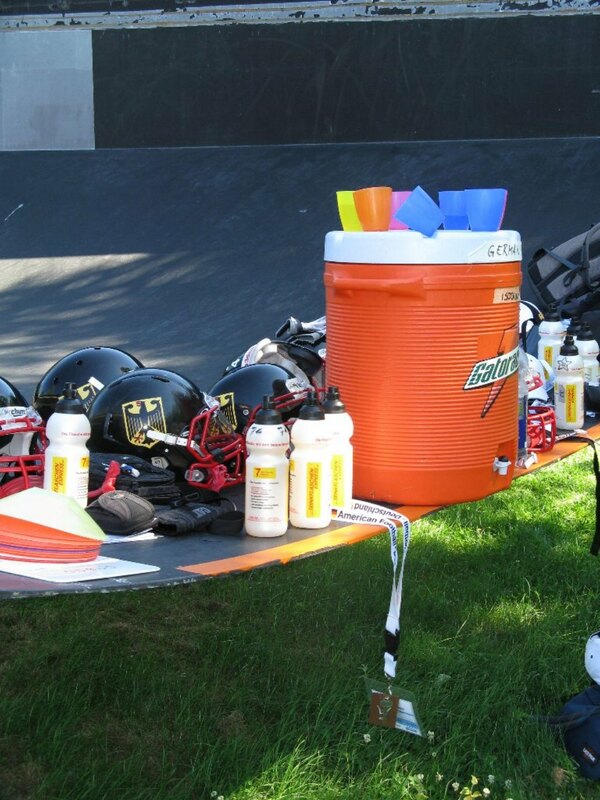 USA Football’s team was assembled in partnership with the Independent Women’s Football League (IWFL), which consists of more than 1,800 female athletes across 51 teams. This roster will represent the United States‘ first women’s national team in America’s favorite sport. According to the Sporting Goods Manufacturers Association, more than 120,000 American females played tackle football at least 26 times in 2008. Team USA is led by John Konecki, an accomplished coaching veteran within the IWFL and high school football. The head coach of IWFL’s Chicago Force, Konecki was named the league’s 2009 Western Conference All-Star Team coaching staff. He also serves as the offensive coordinator of Cret-Monee High School in Crete, Illinois – 35 miles south of Chicago. Team USA is holding a training camp from Saturday, June 19 to Wednesday, June 23 and will depart for Sweden on June 24. Selection for the Canada National Team is complete as the final 45 players have been established. 90 players participated in one of two regional camps during March in Saskatoon, SK, and Oromocto, NB. The selected players then attended the final camp in Saint John, NB, before heading to Sweden at the end of June. The team is made up of players from nine teams with 13 players from Saint John and nine from Winnipeg. The other teams represented are Fredericton, Montreal, Calgary, Edmonton, Moncton, Saskatoon, and Halifax. Head Coach Larry Harlow, who was one of the founders of the New Brunswick Women’s Football League, the New Brunswick Jr. Girls Football League and the Maritime Women’s Football League, will lead the Canadian challenge. He is currently the Head Coach of the Saint John Storm, a team he has transformed from last place into undefeated Maritime Champions. Germany has selected a 45 person squad that includes 35 players from their Division I teams and 10 players from Division II. Players represent 13 different teams with the most from the Munich Cowboys and German Ladies Bowl finalists Berlin Kobras with seven players apiece. The Dresden Diamonds have also contributed five players, while the Hamburg Amazons, Mainz Lady Warriors and Muelheim provided four. More than 120 players attended tryouts in Cologne and 75 women were selected to attend a follow-up camp in early 2010 where the final 45 player roster was selected. The women’s league began in 1990 and the first official German Championship game – the Ladies Bowl – was played in 1992. Since 2008 the German women’s league has featured two divisions and for the 2010 season has 20 teams and approximately 750 players. 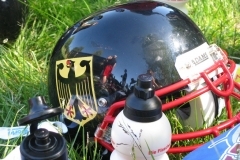 Women’s American Football has been played in Austria since 1997 and the Austrian Football Division Ladies features four teams from two countries: the Black Widows from Graz, Budapest Wolves Ladies from Hungary, Raiffeisen Vikings Ladies from Vienna and Rangers Roughnecks from Südstadt. 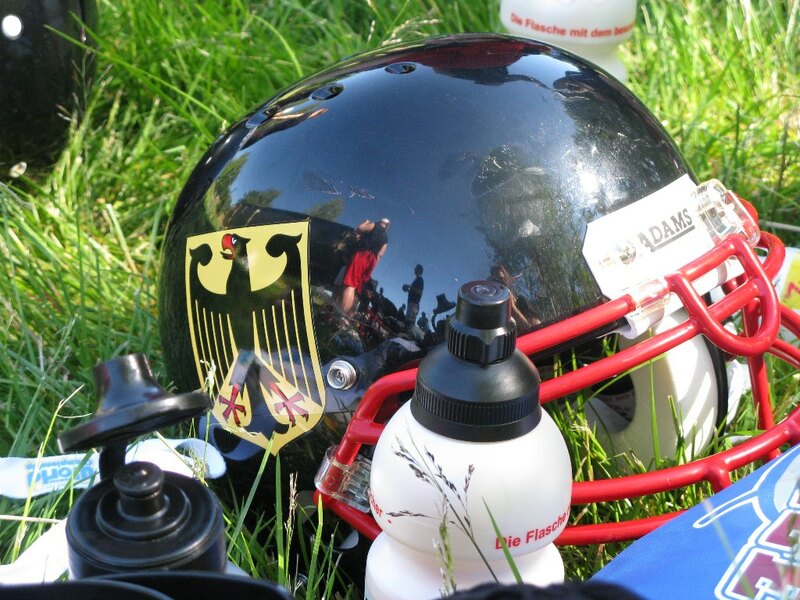 The Austrian Ladies Bowl was first played in 2000 when the Black Widows won the first of three consecutive titles and since then the Vikings Ladies have won the past seven championship games. Cameron Frickey, a native of the United States and former wide receiver for the Vienna Vikings, will coach Austria. Women’s football has a long tradition in Finland. 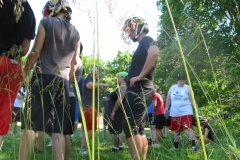 Women started to play 9-on-9 flag football in the late 1980s, but rules evolved towards allowing contact, which eventually led to a move to tackle football. Finland head coach Teemu Kuusisto has a long history of coaching Finland’s national teams and top club teams. 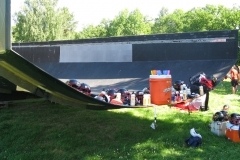 The GS Demons and Roosters, both from Helsinki, provide most of the starters for the national team and have dominated Ladies football in recent history, contesting the last seven national finals. Finland has six teams competing in their own domestic league. 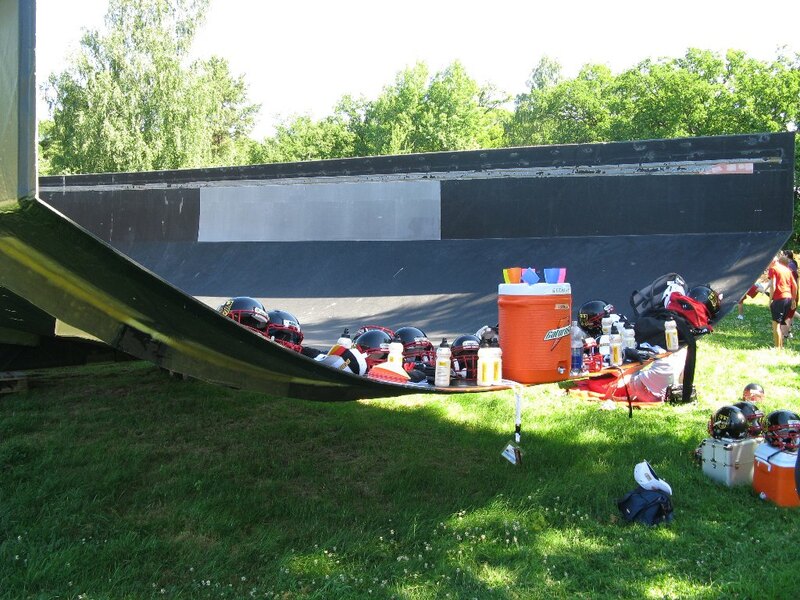 Women’s football in Sweden is in its infancy with three club teams – Stockholm Mean Machines, Arlanda Jets and Limhamn Griffins -operating since the formation of a national team in 2008. The national team has twice faced neighbor Finland in friendly competition, improving in 2009 with a 36-6 loss following on from a 64-point shutout defeat a year earlier. 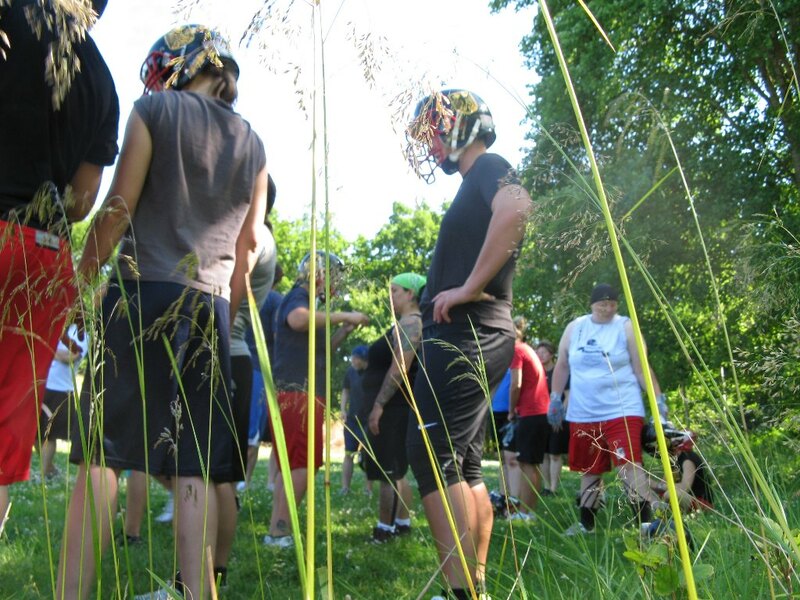 Sweden’s female players have played flag football and also integrated with country’s men’s teams for the past decade.